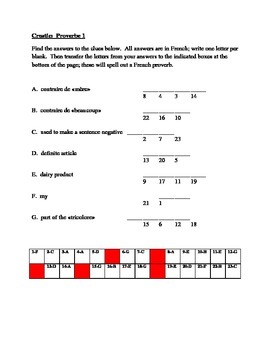 Puzzles have clues in English or French; all answers are in French. 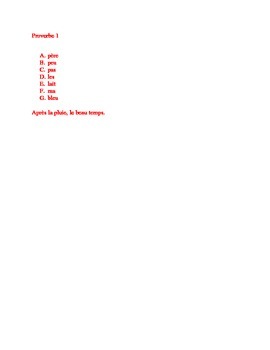 After filling in the answers, students transfer the letters to a grid which spells out a proverb in French. A fun way to introduce a bit of French culture to lower level classes. Includes 8 puzzles.